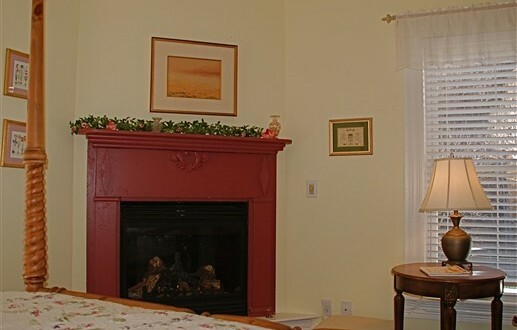 The Meadow View Room is a cheerful corner room which is welcoming to any guest. Its has a king size pillow-top mattress, four post pine bed, fireplace and private bath with shower. Views of the hay field and creek offer a taste of simple and peaceful country living.